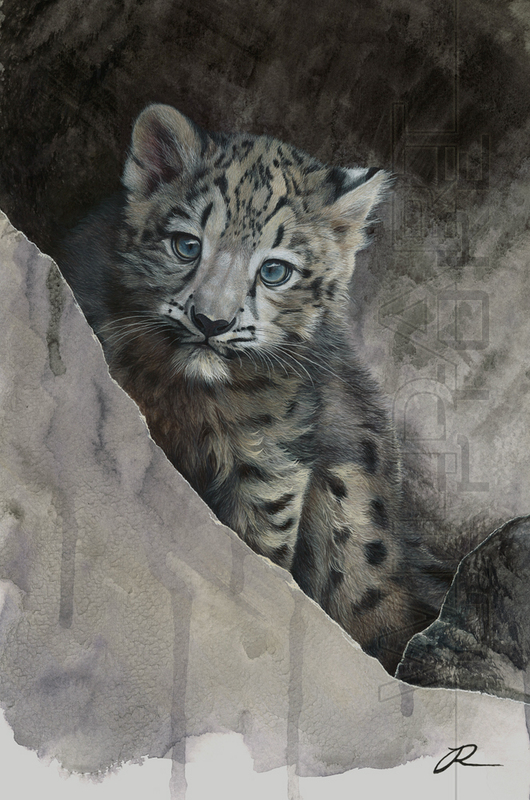 Finally here is the high resolution scan of my latest snow leopard cub painting! Strangely, this is actually the first painting I've done where the subject is staring out at the viewer. I wanted to portray a hidden vulnerable cub but also a youngster eager to explore, therefore her body is half in the shade and half peering out towards the light. This also balanced the light and shade of the composition beside the strong diagonal and shaping. I didn't want any detailing attracting away from the cubs gaze so the rock face and interior cave have a more impressionistic approach. I pushed the paper to the limits of wet on wet, manipulating the watercolours granulation effects and stains, creating a mottled appearance suiting the rough rock face perfectly! Thats one beautiful painting Julia. The eye gaze of this snow leopard cub leads to view directly to his face,bery characteristic of you pictures. Julia is an entirely self taught UK artist specialising in watercolour painting and graphite pencil art. 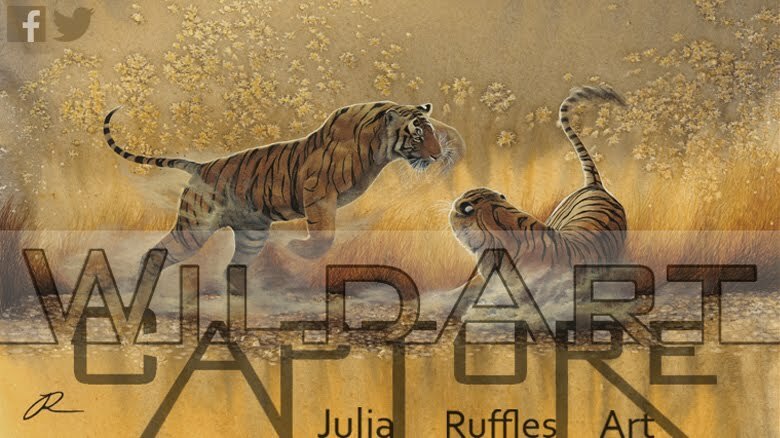 All images / text © Julia Ruffles 2014. Powered by Blogger.